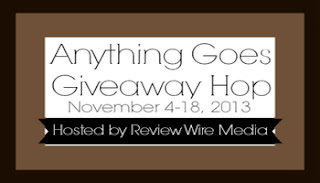 Thanks to Review Wire Media for organizing the Anything Goes Giveaway Hop. We have nearly 50 bloggers linked up in this great giveaway where Anything Goes! My mind is on Holiday shopping and organizing my #giftguide so I wanted to share with you a fantastic company with many different styles of products for giving. Wind and Weather has a huge selection of Christmas and Holiday preparations and gifts. I was blessed to review the Cathedral Radio to kick off our holiday season. My kids are always jamming out to their ipods and mp3 players. I have one as well, but I don't care for wearing earphones throughout the house during the day. I find it hard to keep track of everyone if my hearing is being averted to music. I love music though and at times prefer to simply listen to my favorite radio station or a CD. The Cathedral Radio is perfect for me to do both! It fits into our rustic decor beautifully and is light enough that I can bring into the kitchen when I am working in there, or in the bedroom when I want to listen to music alone. Doesn't it look like a vintage radio! I love that even though I live out in the country, the radio station comes in loud in clear. 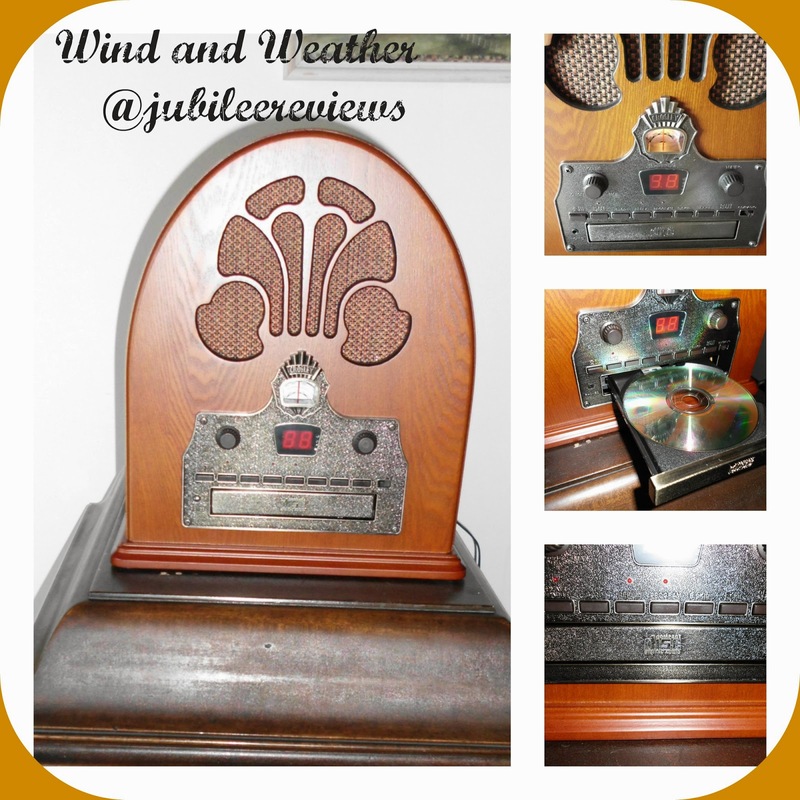 Very clear sounds, great quality radio and CD player. The CD player is tucked into the radio so that it easily camouflages into the decor. Enter to win this beautiful Cathedral Radio for your home! Bloggers are not responsible for sponsors that do not fulfill their prizes. Companies and bloggers, if you would like to participate in group giveaway events like this one, sign up to be emailed about future events hosted by The Review Wire. I love the Cylinder Seashell Lifetime Oil Candle http://www.windandweather.com/candles-and-lanterns/cylinder-seashell-lifetime-oil-candle.htm Thanks for the great giveaway opportunity. Keep up the terrific blogging. I would love to have the NR1 NOAA emergency radio also. I have been dying for a new digital camera! I like the bird on heart metal sculpture. I would love to see the Metal Butterfly Table underneath my Christmas tree. My brother loves meteorology so I'd love to buy him the Weather Direct Advanced for Christmas. The Iron Owl Bell!! So cute. I would luv to find the Metal Peacock Wall Art under our tree! I'd like the Fiesta Hanging Wood Spice Chest. If I could get anything I wanted from Wind & Weather, I would love to have this EcoSphere Large Sphere, The World's First Totally Enclosed Ecosystem, it's so neat. I like the solar powered outdoor garden themometer. I really like the Winter Elegance Pillar Candle Centerpiece. I'd love the Gold And Silver Dots Metal Wind Spinner. It's a really pretty decoration! I think the Solar Hippie Van is pretty awesome! I would love to receive their chickadee silhouette bird feeder. That sure would look pretty in my garden area. I love the circles boot tray perfect for Maine winters as I hate wet boots coming into the entryway! The twelve months of gardens would be great for my mother. I like the Lucky British Sixpence And Rose Silvertone Toggle Pendant With Chain. Thanks for the chance to win! i would love a kindle fire, thanks! I like the Musical Frogs Statues. I do not have any way to take close up photos so I'd really love to have a new camera lens under the tree this year. I'd like the Cotton Jacquard Woven Tapestry Cat Throw Pillows. Thanks. I would love some new running shoes. Wow it's hard to decide! So much great stuff on here. I like the Fiesta Hanging Wood Spice Chest. I LOVE THIS SITE! I like the http://www.windandweather.com/furniture/reclaimed-wood-and-metal-hall-table-with-glass-top.htm! I would love to have vacation tickets waiting on me under the tree. lol Not going to happen but a girl can dream. I love the Colorful Glass Bird Statues, Set of 3! So pretty! I'd love to have a stand mixer! I would love the Volcanic Ash Lucky Cat . i would love the Hanging Solar Twig Lights. I love the Natures Holiday Wreath from Wind and Weather. I like the Goldfinch & Chickadee Framed Wall Art Prints, Set of 2. Fiesta Hanging Wood Spice Chest. I would LOVE the Large Rattan Snowman Accent. I love snowmen!